Whether running our factories and offices or looking after our growers and customers, we’re passionate about what we do and about how we do it. 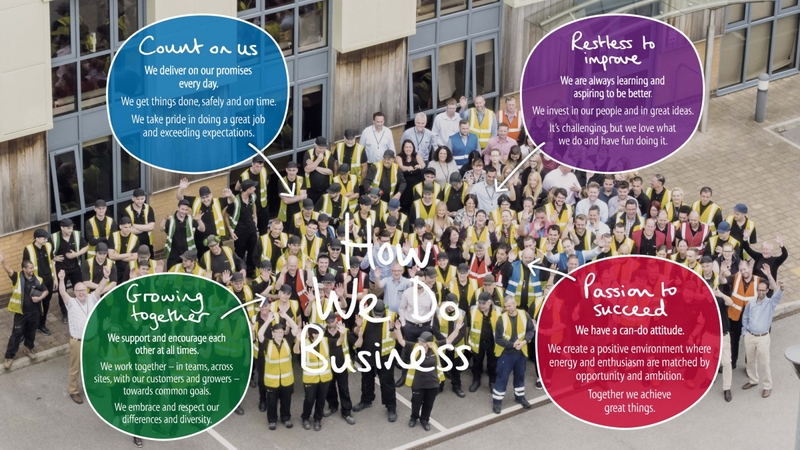 From maintaining our stringent Environmental Policy to ensuring that we provide safe and ethical working conditions for everyone in our supply chain through the UK Modern Slavery Act, everything we do is guided by a shared vision of ‘How We Do Business’. 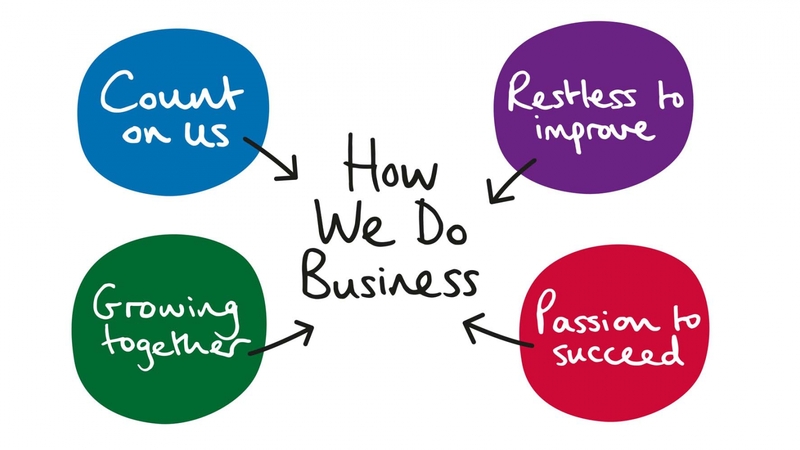 Supported by our values, this is what drives our actions every day.